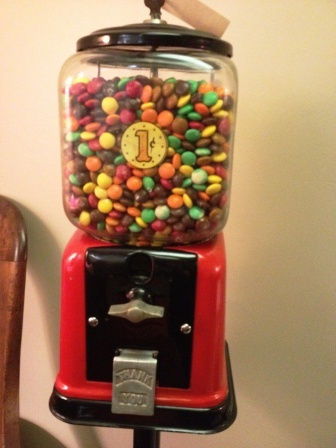 These days when we think of vending machines we usually think of candy bars, soda pop and potato chips, but did you know that the first vending machine was invented back in 215BC by Hero, a Greek mathematician? It was invented to dispense holy water inside the Egyptian temples. 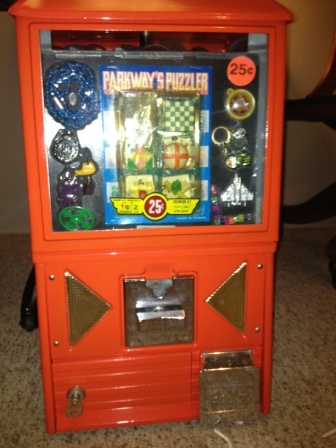 In the early 1800’s the first coin operated vending machines showed up in London, they dispensed post cards. 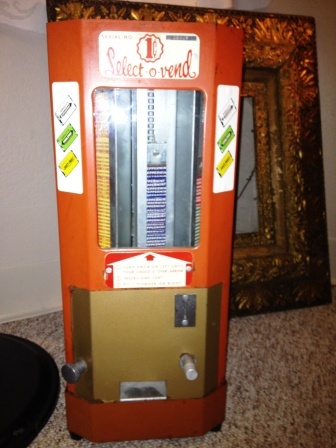 Shortly after, a bookstore owner, Richard Carlisle, invented a vending machine that dispensed books. It wasn’t until 1888 that the first commercial coin-operated vending machines were put into use in the United States. These first machines were placed in New York City subways and sold Tutti-Fruiti gum. They were produced by the Thomas Adams Gum Company. The following year, as an added attraction, the Pulver Manufacturing Company introduced animated figures to their machines. 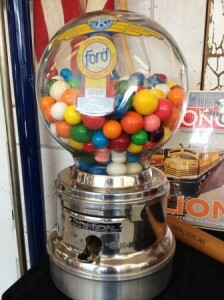 It wasn’t until 1907 that round candy coated gumballs and their machines were introduced. For one penny you could get yourself this sweet treat. Now the average price in the United States is 25 cents. 1920’s – Automatic vending machines that dispensed sodas into a cup. Today you can find a vending machine for almost anything. Stamps, eggs, lottery tickets, live bait, car washes, perfume, aftershave, Ramen noodles, DVD’s, life insurance, and gemstones, just to name a few. 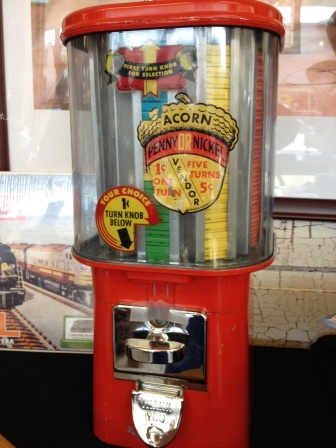 If you would like to add a bit of nostalgia to your home, you can find vintage vending machines at the Albany Antique Mall at the corner of 2nd and Ellsworth in Historic Downtown Albany.